Asia Pacific car rental market has been rapidly growing since past few years on the back of emerging technologies and growing consumer base in developing countries such as China, Indonesia and India. Asia Pacific car rental market is growing in popularity many countries, but local companies are dominating the major market share. For instance, despite investing billions of dollars and providing with more than 150 million rides per month, Uber sold its car rental operation to the market leader Didi Chuxing. Goldstein Research analyst forecast the Asia Pacific car rental market to expand at a CAGR of 6.2% during the forecast period 2016-2024. Further, the market is anticipated to reach USD 21.4 billion by the end of forecast period. Based on vehicles, economy cars hold the largest revenue share of more than 40% in Asia Pacific car rental market in 2016. MUV segment is the fastest growing segment as it holds the largest revenue share in self-driving service segment and various car rental operators are providing MUVs at affordable prices. Asia Pacific Car Rental Market Outlook 2016-2024, has been prepared based on an in-depth market analysis from industry experts. The report covers the competitive landscape and current position of major players in the Asia Pacific car rental market. The report also includes porter’s five force model, SWOT analysis, company profiling, business strategies of market players and their business models. Asia Pacific car rental market report also recognizes value chain analysis to understand the cost differentiation to provide competitive advantage to the existing and new entry players. 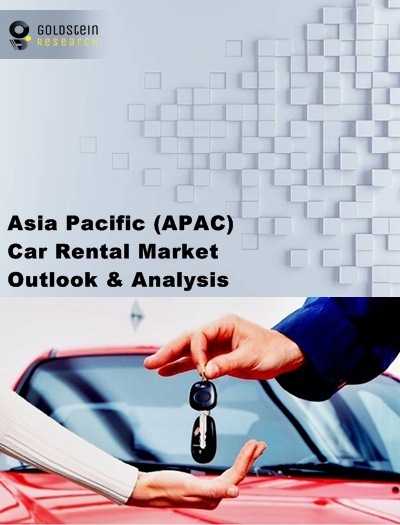 Our Asia Pacific car rental market report comprises of the following companies as the key players in the Asia Pacific car rental market: Uber, Avis, Ola, Hertz, Didi Chuxing, Sixt, Zoomcar, Europcar, GrabTaxi, Hailo, Line Taxi and Blue Bird. According to our Asia Pacific car rental market study on the basis of extensive primary and secondary research, one major trend in the market is growing inbound and domestic tourism flows across the AsiaPacific region. Governments in many countries are providing privileges for foreign tourists by making them eligible for driving across the country with valid driving license and passports. Such favorable initiatives will likely to boost car rental market growth in the region. According to the report, major driver in Asia Pacific car rental market is perpetual growth in number of foreign travellers in Asia and rising consumer base for car rental industry owing to rapid urbanization has significantly bolstered the growth of Asia Pacific car rental industry. Further, the report states that major challenge in car rental market is lower cost of public transport as compare to taxi rental that restrain the market growth. Geographically, China dominates the Asia Pacific car rental market with more than 27% market share and accounted for more than USD 4 billion revenue share in 2016. India and Philippines are the fastest growing market in the region registering a CAGR of more than 6.9% and 6.6% respectively. Car rental market in India is likely to gain momentum in nearby future as major players in the country are planning to expand their operations in tier II/III cities. What is the total adoption rate (%) in 2015-16 and what would be the expected adoption rate over the forecast period?